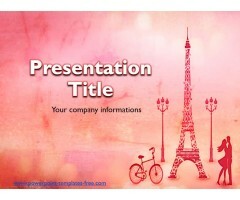 The free Paris PowerPoint Template has a pink background and an image Tour Eiffel that make it look very elegant. The template is suitable for presentation about Paris and France, Parisian landmarks, museums, art, streets, architecture, etc. It can be used by tourist agencies. Download ..